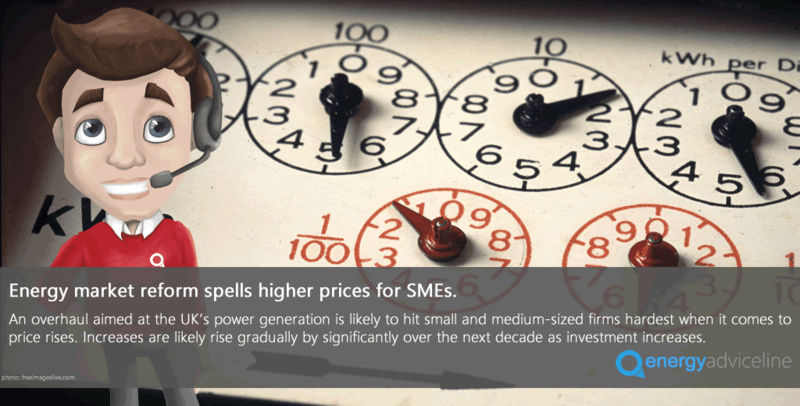 Most small and medium-sized firms were missing out on savings by failing to shop around for their energy supplies. 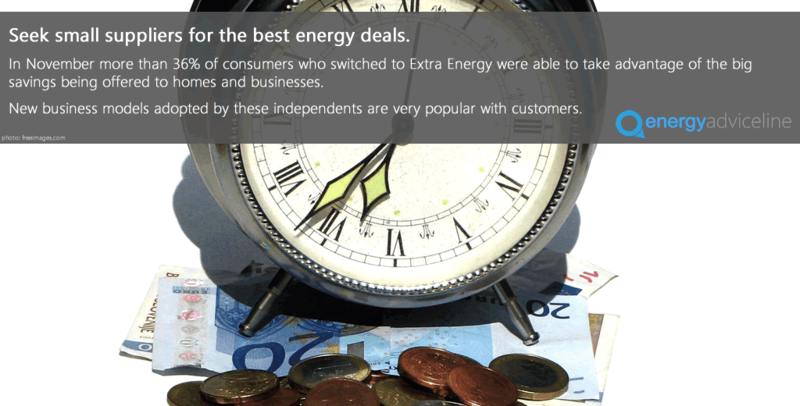 Significantly, 12% of businesses had never switched suppliers, opting to stay loyal to their existing energy company. 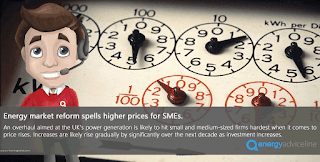 “It’s very clear, and actually quite shocking, to see that so many time-pressed small business owners and decision makers are simply not prioritizing their energy supplies,” Mr Morgan said. 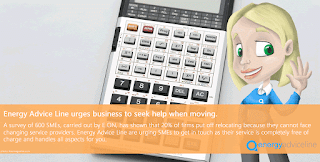 “There’s no doubt that most of these firms are paying more than they need to by not switching – and depending on the size of the company and the sector they are in – this could amount to hundreds of pounds in lost savings each year. Mr Morgan said many SME owners wrongly believed it was not worth their while to switch suppliers, and that it would be a long and complicated process to shop around. “Nothing could be further from the truth, “ Mr Morgan said. “Using a reliable and reputable switching service like the Energy Advice line means business owners save themselves all the legwork. Mr Morgan particularly appealed to small firms that had never switched suppliers, and those who were on expensive out-of-contract rates to shop around for good fixed-rate deals. 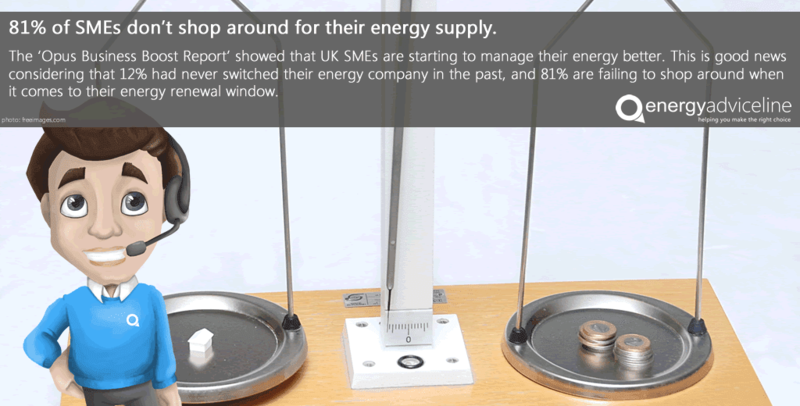 In other areas, the Opus Business Boost Report showed that the majority of UK SMEs were trying to manage their energy better and had adopted a positive attitude towards renewable supplies. Of the 500 SMEs surveyed, 78% said they were keen to be supplied with renewable energy and of these, 40% wanted it because of its smaller environmental impact and 38% to advance their green credentials. More than half (51%) of businesses already have smart meters to help them keep track of their energy use, although a fifth didn’t know how to use their meter. UK Government has launched the first phase of a four-year plan in order to bring down the average cost of domestic electricity bills. 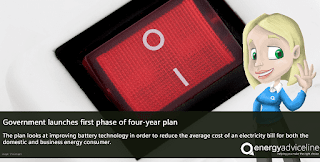 The plan, cited at £246 milllion, is part of an investment into battery technology as a long-term vision including giant battery facilities around the National Grid to store excess wind and solar energy that is produced in preparation for a rise in demand. Homes throughout the UK will be helped with solar panels in order to generate and store their own electricity, employing the new batteries in order to sell the remaining power back to the National Grid when it is not required. 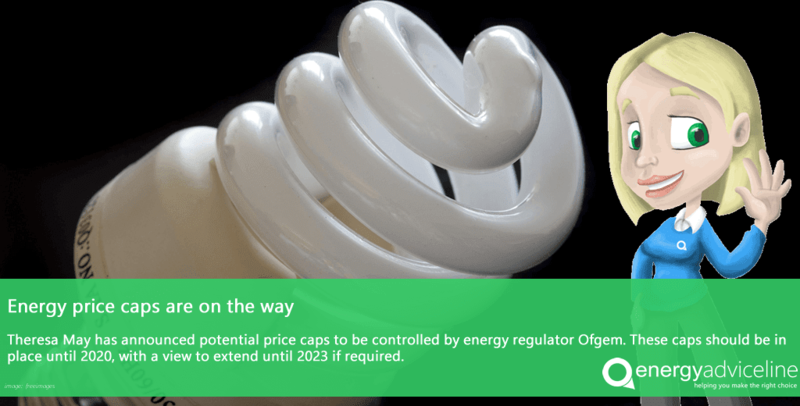 Costs will also be reduced for both domestic and business customers who turn off their appliances at peak times, in favour of powering their equipment at the cheaper off-peak times. 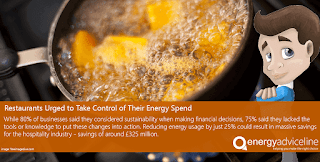 Estimations from the government and Ofgem (the energy industry regulator) currently state that consumers could save between a massive £17 billion and £40 billion by the year 2050. The first phase is to be known as the 'Faraday Challenge', named after the Victorian English scientist who studied electromagnetism and electrochemistry. Plans include establishing a centre for battery research in order to make the UK a world leader in design, development and the manufacturing of electric batteries. The project will be lead by the Engineering and Physical Sciences Research Council (EPSRC) in order to join the most innovative minds and best facilities with the goal of making products more accessible and affordable. Earlier in 2017 a consultation was held with regards to the industry's strategy to increase productivity within the UK and received more than 1,900 responses from a variety of businesses and organisations. Cleaner technologies remain the priority for the industry. Business and energy secretay Greg Clark said: "A smarter energy system will create new businesses and high-skilled jobs, while making sure our infrastructure is able to cope with demand." 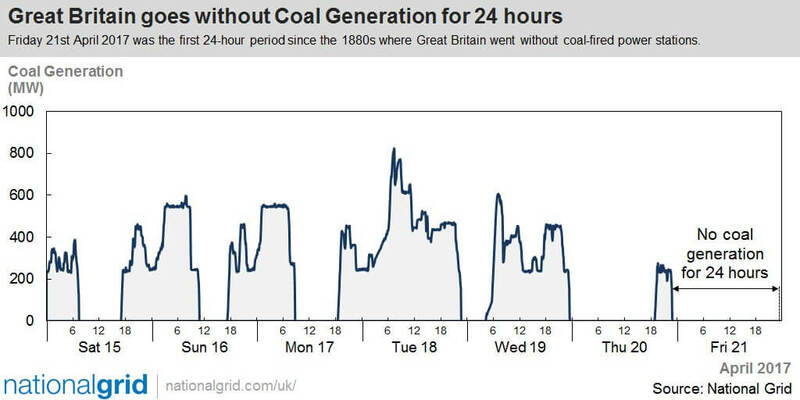 Gareth Redmond-King, head of climate and energy at WWF, said battery storage was a "game-changer" in the ability to produce clean power from renewables. "These technologies give us flexibility to run on solar when the sun isn't shining, and be powered by wind when it is still. "It will support the transition to electric cars and enable our homes to be more efficient - which means cheaper, as well as cleaner and greener energy." 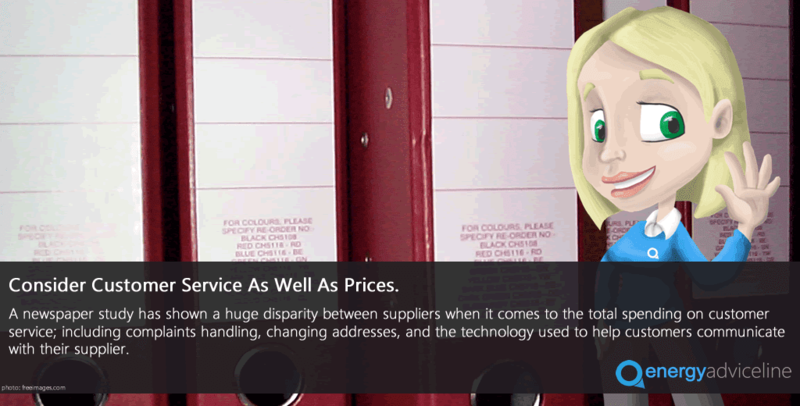 Does better service mean better prices? The Telegraph newspaper defined customer service to including complaints handling as well as simple requests such as a change of address, and any technology that customers can use to communicate with their supplier. 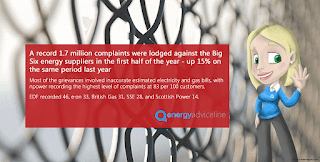 Of those suppliers who responded to the request for information about spending on customer services, Scottish Power rated the highest at £42 per head per year. However, this included a one-off investment to improve out-of-date IT systems and does not reflect ongoing investment in customer services. 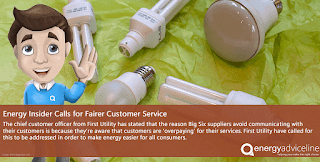 Ofgem banned the firm from recruiting new customers last month until it had fixed its customer services problems. 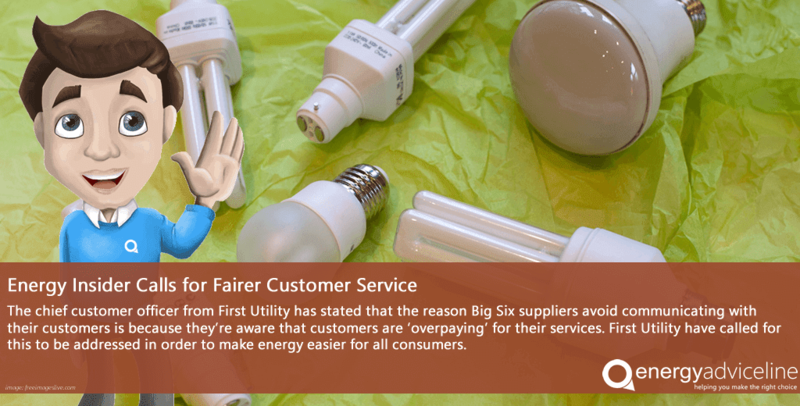 First Utility was ranked second highest spender at £26 per customer each year, followed by British Gas (£16), E.On (£14) and npower (at least £6.67). EDF and SSE refused to disclose their customer services spending. “We help countless customers each year who contact us in desperation and frustration at the terrible standards of customer service offered by their supplier,” Mr Morgan said. “Resolving a problem with a bill, or even changing something as simple as an address, can prove to be a time-consuming and infuriating exercise. If you are a business this can be an expensive waste of time. “We would urge all customers not to make price the only factor when choosing supplier, although value-for-money is obviously crucial. 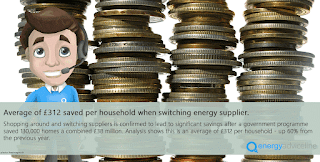 Will independent suppliers help you save? 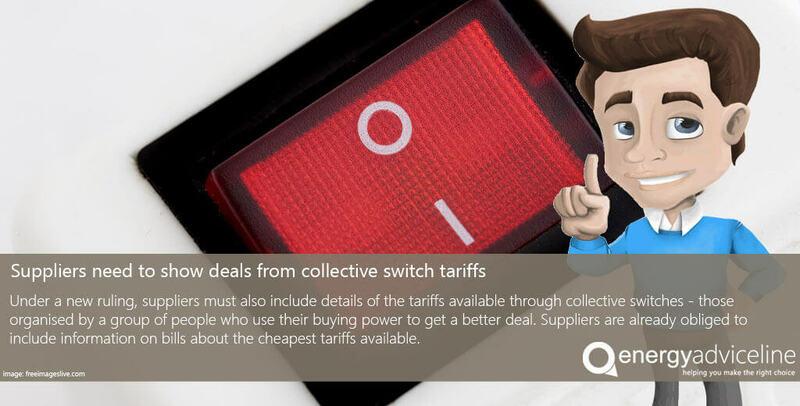 “The suppliers on our panel now include more small and independent suppliers than ever before, and they’re offering highly competitive deals in a bid to take on the Big Six. “We’re advising both domestic and non-domestic energy consumers to use a reputable and independent price comparison service like the Energy Advice Line to seek out the smaller players to see what they have to offer. 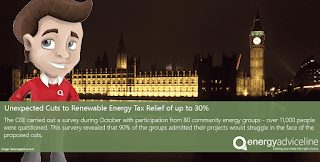 Extra Energy, a highly competitive new entrant to the UK energy market, launched two new tariffs costing less than £940 in a bid to take the top spot for the cheapest dual-fuel energy tariff of 2014. 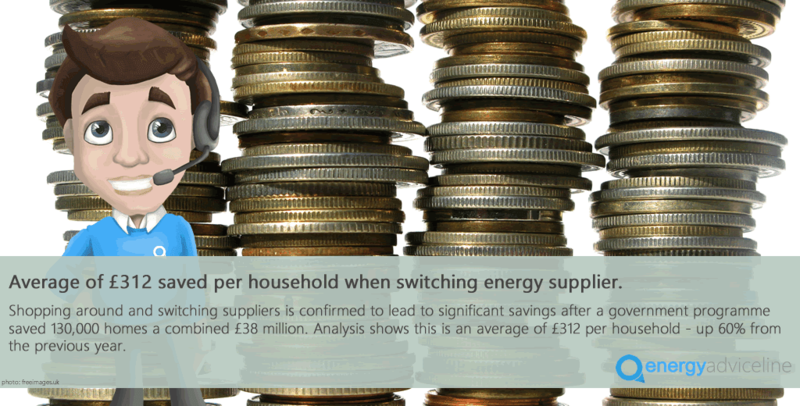 In November it was reported that more than 36% of all consumers who switched energy supplier had switched to Extra Energy to take advantage of the big savings being offered to homes and businesses. 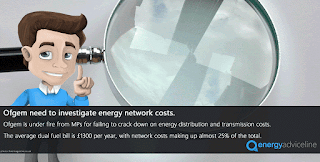 The company claims that by running “a highly efficient and lean operation” that does not advertise it is able to pass on big savings to consumers. Mr Morgan the business model adopted by Extra Energy and other new entrants to the UK energy market was proving very popular with business and domestic energy consumers. “High prices, poor service and tarnished reputations of the big energy suppliers are prompting more and more consumers to consider their options,” Mr Morgan said. “Lots of consumers are now switching to small, independent suppliers that might not be household names but are offering competitive deals and the prospect of better customer service. 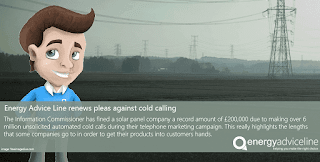 Energy suppliers in the UK have failed to meet their self-imposed targets for reducing the amount of back billing to consumers. 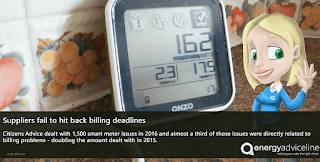 Those with smart meters have been hit with unexpected bills following smart meters not reporting usage correctly. Suppliers predicted that late 2016 would have been the end to this practice, however, none of the Big Six or independent suppliers have achieved this. 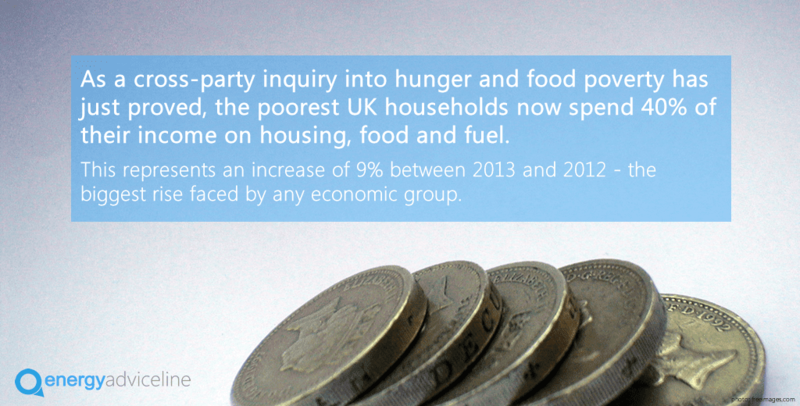 They are still back-billing for 12 months, as opposed to reducing the period to six months. 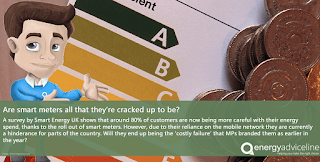 Smart meters are due to be installed into all UK homes over the next four years, and will provide accurate readings in real-time for generating more accurate bills and avoiding any nasty surprises. Over 2 million of the homes already using these meters have experienced some sort of problem with the accuracy and have had to make additional payments. Previously, Ofgem had commended this plan as a great improvement for customers who may have struggled in the past to provide accurate meter readings in time for their bill each month. Billpayers would be protected from surprising costs if the ability to read meters in real time prevented the amount of inaccurate bills. Citizens Advice has hit out at Ofgem to try and create a stricter regulation on this practice, highlighting "it’s not right that people with this technology should suffer because of suppliers’ mistakes". 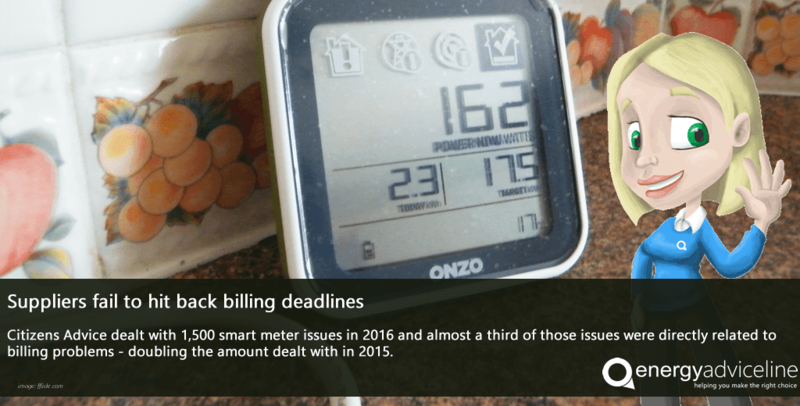 The service dealt with 1,500 smart meter issues in 2016 and almost a third of those issues were directly related to billing problems - doubling the amount dealt with in 2015. 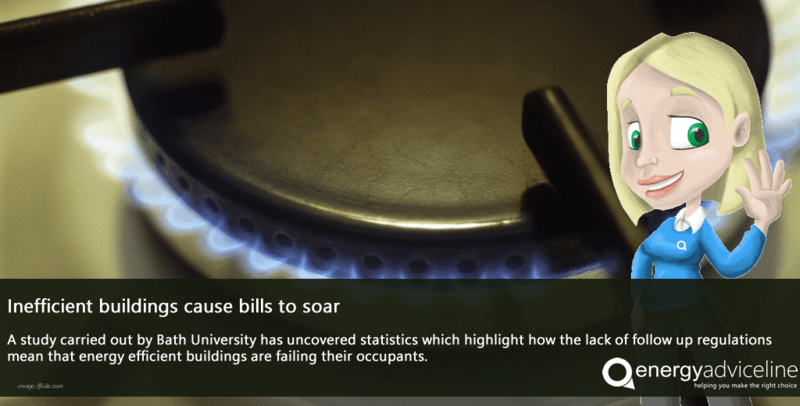 SSE came under fire earlier in the year as a software issue meant that users were looking at bills of more than £30,000. They have since issued a statement to say that a fix has been issued and correct readings can still be accessed on the website. 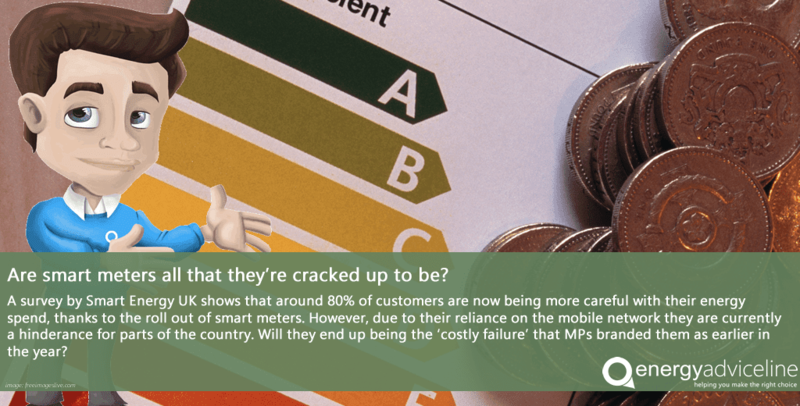 Julian Morgan, managing director of Energy Advice Line, commented on the importance of getting smart meters right. "Consumers will be reliant on this technology to keep track of their energy spend and ensure that they are only being charged for what they are using. 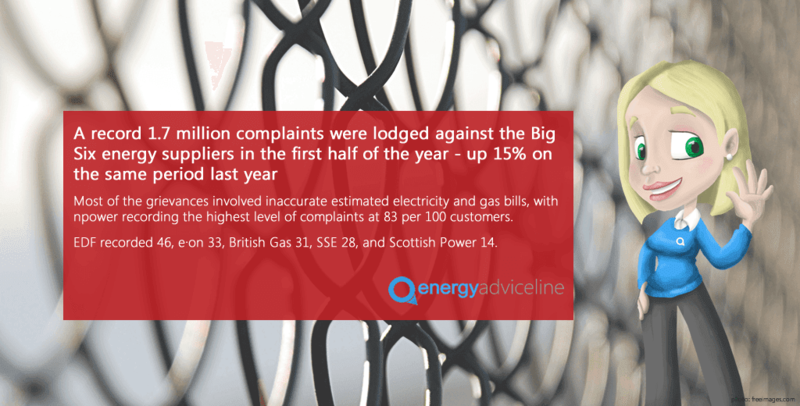 Back bills have always caught customers out and hopefully suppliers can stick to their promises to ensure that this can be avoided in the future." Figures from 2016 show that smart meters have been installed in around 8% of UK households so far. 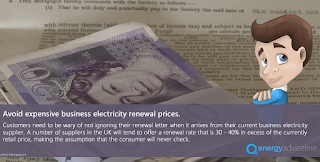 To make sure that you are always paying the best price for your energy, visit energyadviceline.org.uk and check out the latest costs on the market. 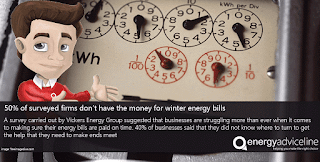 Are business energy bills a worry? Mr Morgan said the average dual fuel bill now cost more than £1,300 per year, with network charges making up almost a quarter of the total. Ofgem needed to do everything in its power to reduce the effective monopoly enjoyed by network companies such as National Grid, Scottish and Southern Energy and Northern Power Grid, he said. Julian Morgan, managing director of the price comparison, switching and advice service for energy consumers, said Ofgem’s advice was sound even when retail energy prices were falling. 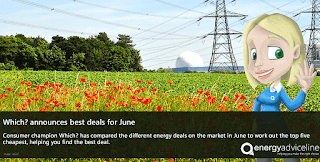 “Most of the Big Six suppliers have now announced reduced charges for household gas after prices they pay in the wholesale market have fallen,” Mr Morgan said. 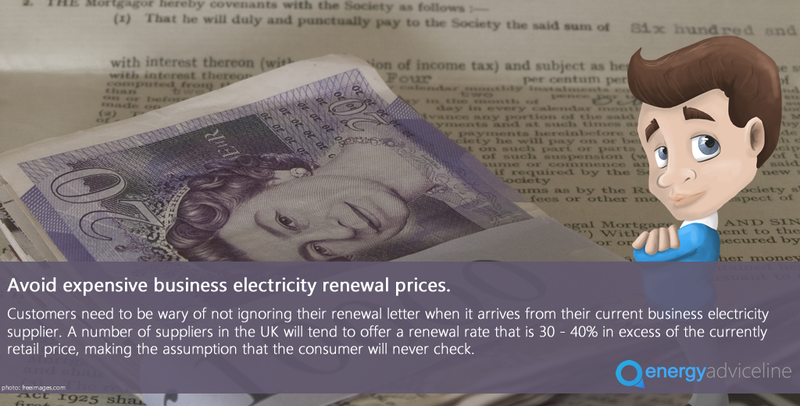 “However, this does not mean that consumers can sit back and assume they will enjoy dramatically lower bills. Sadly, this won’t be the case. 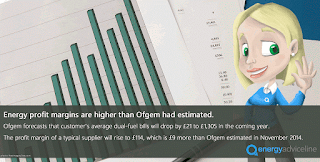 The committee of MPs this week heard that Ofgem forecasts that customers' average dual-fuel bills will now drop by £21 to £1,305 in the year ahead. At the same time, the profit margin per customer of a typical large supplier will rise to £114, £9 more than Ofgem estimated last November. Energy companies have argued that the wholesale price of gas only makes up about half of a domestic energy bill and that they therefore cannot pass on the entire fall in the price they pay for energy. 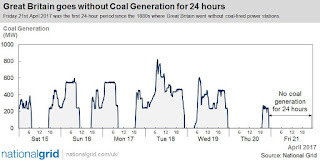 But Mr Morgan expressed disappointment that the regulator and energy companies were still unable to agree on the basics of costs, prices and profits in the energy market after years of discussion. “Suppliers and the regulator are still bickering about how profit margins are calculated, which is very disappointing and of no help to consumers at all,” Mr Morgan said. “What ordinary energy bill payers need is a transparent and competitive energy market so that they can make fully informed choices."